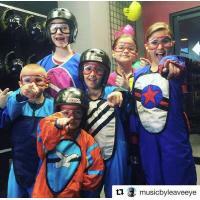 Experience the thrilling sensation of skydiving, without a parachute or airplane, as a 1,000 horsepower motor keeps you soaring through air in America’s original indoor skydiving facility. The propeller turns on and the air begins to flow. 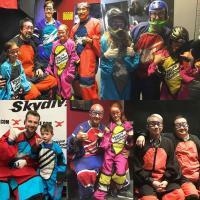 You’re floating, flying, free falling through the air with wind speeds up to 120 mph. Other Las Vegas attractions will not offer you the chance to defy gravity! If you share our love for the extreme sport of indoor skydiving, you crave adrenaline-inducing Las Vegas activities, or you simply want to try something epic on your Vegas vacation, come test your limits on this exhilarating simulated skydive. Try it more than once, and reach new heights every time! 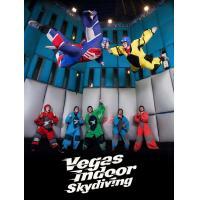 At Vegas Indoor Skydiving guests will earn their wings and experience bodyflight during a simulated skydive experience in the heart of the Las Vegas Strip. 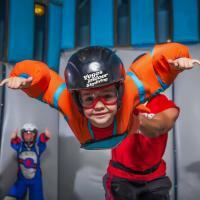 The experience is similar to skydiving with the addition of a mesh trampoline floor and foam padded walls. Guests are able to simulate the freefall aspect of skydiving without the use of an airplane or parachute.